A free standing lace floral machine embroidery design. 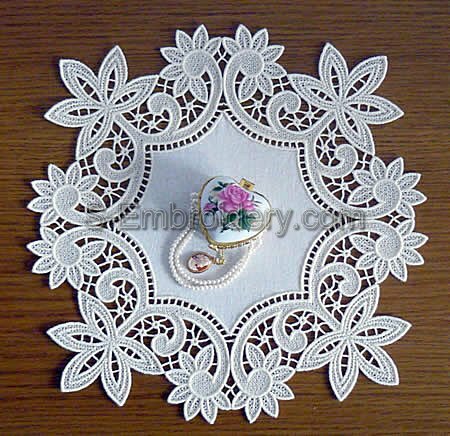 In combination with suitable fabric will produce a fine doily with a size of 11.5 x 11.5 inches (29 x 29 cm). 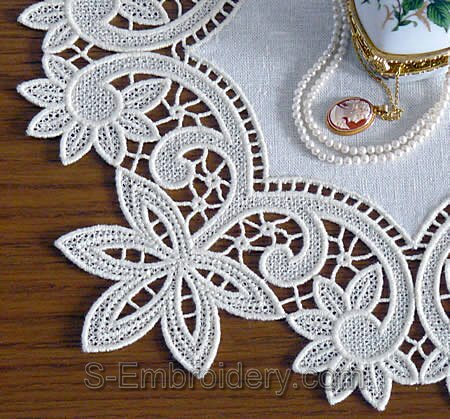 You receive 1 machine embroidery file and PDF files with design information and instructions for preparing the doily.